Visiting your site, sitting with you and your team to gather your vision and taking it all down. To discuss timelines, execution, materials selection and so much more. This is where the fun begins. We work quickly and efficiently to execute your vision. Watch as it takes shape and feedback is always welcome. Use our ability and scale to give you financial options and terms that benefit you. Speak to one of our design experts to learn more. Workspace environments are more about the people. That’s why much of our assessment involves asking the right questions about workspace users. 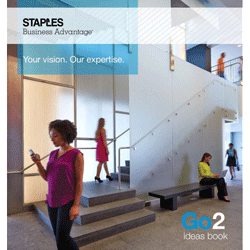 Draw inspiration from our Go2 Ideas Book. Designed to give you an idea of the potential and productivity we can bring to virtually any space. At the core of every business is its people. That is why we work directly with you to create the best possible workplace environment for you, your employees and your customers. We offer a vast range of project services to help you plan the optimal working environment, simplify the management process, seamlessly deliver and install your solution, and help you maintain your commitment to staying Green. Read more on how we can collaborate and build your perfect space together. Our partnerships with the industry’s top brands from around the globe ensures that you will stand out without conceding functionality. Learn more about out assortment and how we can outfit your workspace. Sign Up and Get a Free Consultation Today! If you are looking for some inspiration for your workspace project check out some of the ideas in our gallery below. The products shown are just a fraction of what we have available to us through our network of vendors. Please contact us for more information about specific products. READ ABOUT HOW WE HELPED WILLIAM F. WHITE AND THE VANCOUVER ISLAND REGIONAL LIBRARY WITH THEIR REMODELLING!